A first look at the vehicle tells you Renault has definitely got the styling right. And now, the Duster is all set to be the third offering from Renault after the Logan and the recently launched Fluence. Bigger has always been better, and when it comes to SUV’s in India, this especially holds true. The Indian SUV market at the moment is pretty chockablock with entries from almost all manufacturers. The range varies from, the little Premiere Rio (that is if one can call it an SUV) starting at five odd lakh rupees to the big daddies which include the Range Rovers and the Landcruisers that retail in crores. But between all these, there is one market which is relatively quite nascent and that is the entry level SUV segment. For years it’s been a fight between the ubiquitous Tata safari and the current best seller, the Mahindra Scorpio which are both pretty good vehicles in their own right. But not anymore. 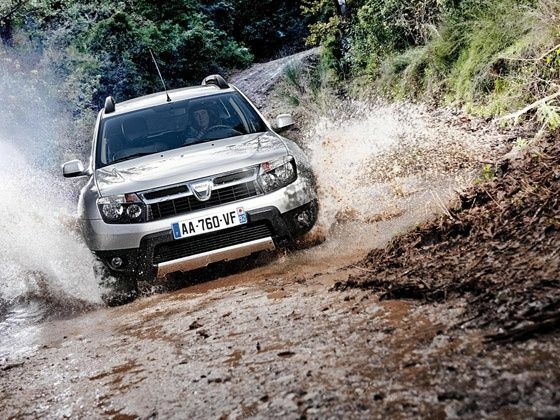 Coming to take the fight to them soon is the Dacia Duster. If the brand doesn’t ring a bell yet, it’s the same company that also makes the Dacia Logan, aka the Renault Logan aka the Mahindra Verito. 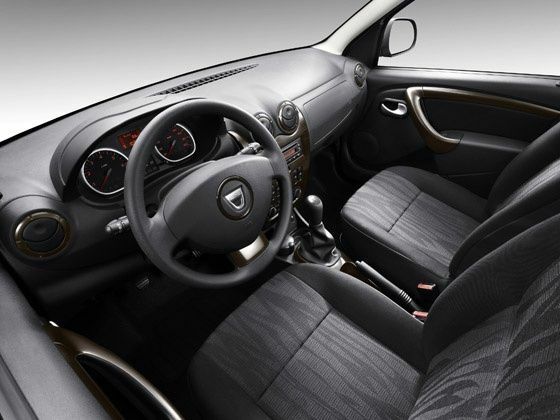 The Duster however is all set to be the third offering from Renault after the Logan and the recently launched Fluence. A first look at the vehicle tells you Renault has definitely got the styling right. The proportions are just right and with a length of 4.31 metres and width at 1.82 metres, the Duster feels neither to cumbersome around town and at the same time is big enough to make its presence felt. 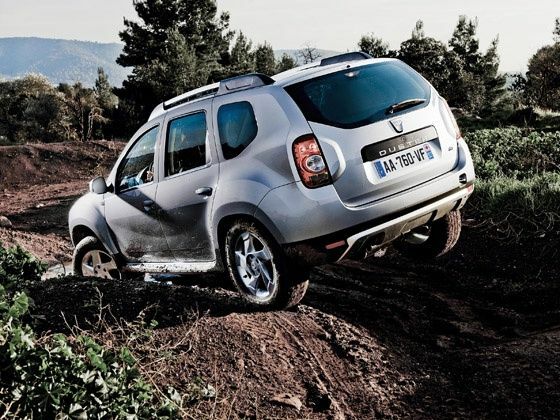 The Duster is unmistakably 4x4 and from the front thanks to the imposing lines of the chrome grille and the sump guard. Seen from the side, the high ground clearance, clearly defined wheelarches and protective mouldings encourage the driver to tackle even the toughest roads and tracks. Although built on the Logan platform, ground clearance has been increased to a purposeful 210mm and wheelbase has been stretched too by 43mm and is also longer overall (25mm). Powering the Duster, is the same 1.5 litre diesel mill that powered the Logan and is also powering the Fluence albeit in a more powerful state of tune. The Duster is also expected to push out about 108 PS and close to 240 Nm of torque. Now that is not much considering its rivals have a considerable horsepower advantage. But the ace up the Dusters sleeve is its kerb weight. At close to 1205 kg its bulk is closer to sedans rather than SUV’s and as a result, expect the Duster to pretty much match the competition as far as performance is concerned. Anything in the range of Rs. 7-8 lakh will make sure this Renault dusts off the competition. Now Here Comes the all new KOLEOS by RENAULT with very nice features. Now the Koleos isn’t an all new car. It’s been around in the international markets since 2008. However the car that you see in the pictures is the updated 2012 model. It’s a good thing that we get the new car since the predecessor wasn’t too much too look at. The new car though while not being the most handsome SUV, isn’t too bad to look at. The dimensions are just right and the Koleos is big enough to make its presence felt and at the same time compact enough to not feel cumbersome driving around town. 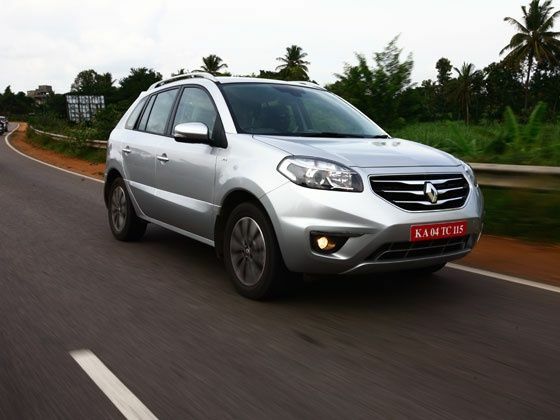 The big grille along with upswept head lights looks like the Koleos has got just the right dose of botox. The skid plates at the front and rear add a touch of butch-ness to the otherwise pretty conservative stance of the Koleos. Open the door and the first thing that strikes you is “Bose” written on the door sill. While that would want you to believe that there is a Bose system in the car, but we couldn’t fathom why would you want the audio systems name on the door sills and not to mention on the front fender as well. But a quick chat with Marc Nassif, MD-Renault India led us to believe that this is indeed the Renault Koleos Bose edition. Slip into the driver’s seat you find yourself in a typical high perched driving position which is common is SUV’s. The steering wheel feels great and quality of materials is brilliant. We specially loved the soft touch dashboard materials and the fake carbon fibre panels. It’s quite roomy at the back as well, but considering the Koleos is a five seater and not a seven, legroom is pretty average at best. The seat back tables which otherwise serve well, make for a pretty hard surface resting against the rear passengers knee in case the driver/co-driver seat is slid all the way to the back. As far as luxury and flexibility is concerned, the Koleos has it covered. Dual zone a/c, leather all over, rear a/c vent with separate blowers, 6-way power adjustable driver seat, parking sensors and then some. But the best bit is the Bose audio system. The 8-speaker will simply blow your socks off. The high fidelity system reproduces some amazing acoustics no matter what song you play. The best in-car entertainment system in its segment for sure. Good music in the background and a brilliant blacktop beneath us, the Koleos was being pushed petty hard but it was upto the task. 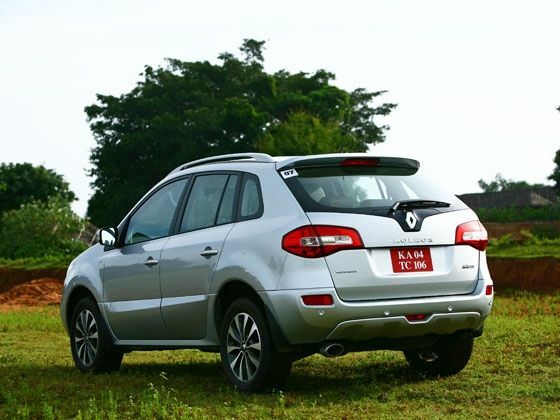 With 150 PS and 320 Nm from the 2.0 litre dCi oilburner coupled with an all mode 4x4-i system, the Koleos had the grunt and the grip to make it an enjoyable drive, no matter how the conditions were. Even around the corners, the car held up pretty good despite its tall stance. But the revelation was the ride quality. Throw anything at it, but the Koleos takes everything in its stride with aplomb. The last section of the journey barely had any roads and the Koleos just went through it without any problems or juggling the heavy lunch we had eaten. With a ground clearance of 206 mm and the 4x4 transmission the Koleos should be pretty capable off the road as well, but that we shall only find out once we fully test the vehicle. The only fly in this otherwise pretty good ointment is the gearbox. The 6-speed auto box is a bit slow and left hunting for the right gear whenever you need to shoot past that truck or slow moving rickshaw. 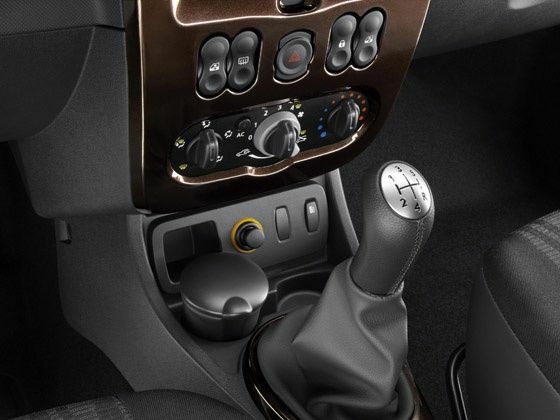 A 6-speed manual would definitely make the Koleos an even more entertaining drive. Great imrpovement in terms of design indeed. I remember the 2008 model; don't think that was actually released in the UK was it? Nice SUV, suit for traveling in mountains or rough road. Do you have any idea if this will be released in other country? wow..i love it..looking good..i really appreciated your effort keep it up..